Would you like certain file types, such as PDFs, and reference files to always open in Papers? 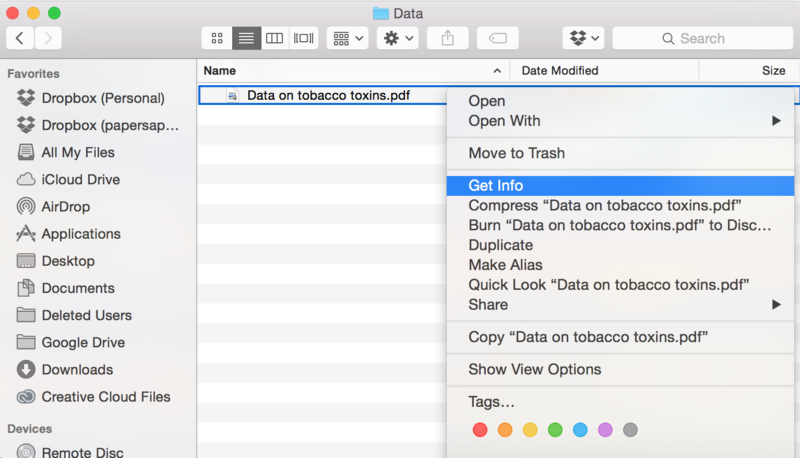 It is possible to change the settings so that specific file types, on your desktop, open in the Papers 3 application by default. This ProTip may also be useful if you also have the Papers 2 application and would like to ensure that when double clicking on a file, it will open in Papers 3 and not Papers 2. By changing one specific file (e.g .pdf, .ppt, .xml) it is possible to change all files of this type to open in Papers 3 by default. Find a file of a certain file type (e.g .pdf, .ppt, .xml, etc.) that you would like to open, by default, in Papers 3. Right click on the file and select 'Get Info'. Now go to 'Open with' and select Papers 3. Once Papers 3 is selected, click 'Change All...'. You will then be confirmed to change the settings so that all files of this type are opened by default in Papers 3.